The first bunk bed rooms on the Las Vegas Strip were a conscious effort by the LINQ Casino Resort to woo Millennial travelers. Las Vegas is full of mega-resorts, and over the years each has added flashy one of a kind signature elements to set itself apart: volcanoes, jousting, gondoliers, dancing fountains, etc. 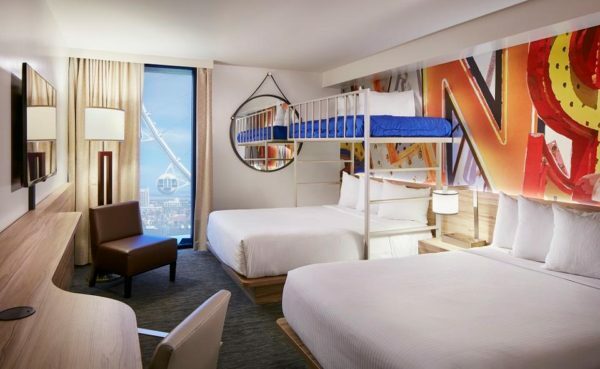 But when Caesars Entertainment redid its Quad hotel (formerly the Imperial Place) into the LINQ Casino Resort, it took a more subtle approach, adding something no other hotel in Vegas offered: bunk beds.